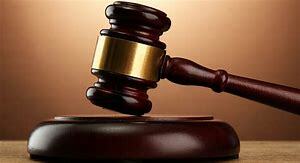 A 36-YEAR-OLD man from Bulawayo has been fined $300 after he assaulted and sprayed his wife with a car spray claiming she had bewitched their daughter who was ill.
Brighton Wunidze of Trenance suburb assaulted his wife Ms Caroline Chinyenye and she sustained some injuries. Wunidze appeared before Bulawayo magistrate Mr Franklin Mkhwananzi and pleaded guilty to a charge of physical abuse. He was fined $300 or alternatively to serve 30 months in prison if he fails to pay the fine. The prosecutor, Mr Mufaro Mageza, said on Thursday last week at midnight, the couple had an argument over their child’s sudden illness. “Wunidze shouted at his wife accusing her of bewitching their daughter. He held Ms Chinyenye by the neck and sprayed her face with a car spray before severely beating her with a cooking stick on her thighs,” he said. The court heard that after assaulting his wife, Wunidze ordered her to go and bath. He put a bucket of water outside the house for his wife to bath. Ms Chinyenye managed to run away to a nearby bush and she reported the matter to the police. The court heard that this was not the first time Wunidze had accused his wife of being a witch. However, his wife wrote an affidavit intending to withdraw the matter. On the affidavit she said even though he had wronged her, if he was sent to jail they would suffer as he was the one who provides for the family.